This year, palaeontologists from the Museum will fly out to Wyoming, USA, to join a team excavating a rich Jurassic dinosaur bone bed in the extraordinary Morrison Formation. Researchers from the Museum will be joining those from The Children's Museum of Indianapolis, the University of Manchester and Naturalis Biodiversity Centre, Netherlands, to explore a series of new sites in northern Wyoming. It is hoped that the Mission Jurassic team will uncover a rich Jurassic assemblage of dinosaur bones, in addition to the fossilised remains of the other animals and plants that would have called this region home around 150 million years ago. The site, known as the Jurassic Mile, is spread over roughly 2.6 square kilometres and has already yielded some impressive finds. For the last two years scientists from The Children's Museum have been uncovering dinosaur trackways, fossil plants and the remains of two sauropods: a 24-metre-long Brachiosaurus and the bones of potentially a 30-metre-long Diplodocus. 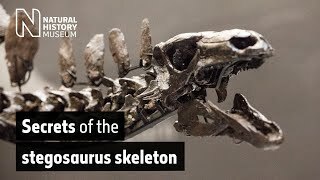 Fossils have included a striking two-metre-long shoulder blade and some semi-articulated limbs, in addition to over 600 other bones to have come out of the site. It is hoped that this is just a fraction of what is preserved within the rock. Prof Paul Barrett, a Merit Researcher at the Museum who will be co-leading some of the excavations at the dig, says, 'The interesting thing about this site is that it is near the northern limit of the Morrison Formation. Dr Susannah Maidment, a Museum expert on armoured dinosaurs and dinosaur evolution, will also be co-leading some of the dig. The Museum's team will head out to Wyoming at the beginning of June. The dig will take place on a patch of land in Wyoming that is covered in part by rocks of the Morrison Formation. This is a thick set of sedimentary rocks stretching from southern Canada in the north to New Mexico in the south. The Morrison Formation contains a rich series of fossils from the Late Jurassic, which date to 156-145 million years old, and comes to the surface in many places within the state of Wyoming. The breadth of these fossils has been such that researchers have been able to paint a detailed picture of what the environment was like in this region at the time. During this period flowering plants had yet to evolve, meaning that conifer trees were the dominant plants in the landscape, along with ginkgos, cycads, ferns and large horsetails. It is thought that these plants grew along the banks of rivers and wetlands, which once criss-crossed the region and deposited the sands and muds that would become the Morrison Formation. This interpretation has been supported by the abundance of animal fossils representing frogs, turtles, crocodiles, fish, pterosaurs and early mammals also found across the region. One of the main interests in the formation, however, comes from its wealth of dinosaur fossils, including some of the best-known American species. These range from small animals such as Fruitadens to some of the biggest such as Stegosaurus, Diplodocus and Brachiosaurus, which were likely stalked across the floodplains by one of the largest predators at the time, Allosaurus. In addition to the fossil bones found within the Morrison Formation, there are also numerous track sites, preserved after dinosaurs wandered across the wet ground over 145 million years ago. The Jurassic Mile contains not only large vertebrate fossils, but plants and footprints. The presence of all three in one place is rare for the Morrison Formation. This new project will aim to bring together the expertise from the three institutions to help add to our knowledge of this region during the Late Jurassic. The Middle Jurassic saw major geological change as the supercontinent of Pangaea started to split to form two separate landmasses called Laurasia and Gondwana. As a result, by the Late Jurassic new patterns of biogeography had started to emerge as populations of animals and plants were divided. These two new supercontinents were huge, and there are suggestions that even within these landmasses the distances were so great that species were continuing to diverge from each other. The dig in northern Wyoming may help to answer some of these questions. 'There is a hint that the dinosaurs you get at the northern end of the Morrison Formation are different from those that you get at the southern end,' explains Paul. 'There may be different species, as it looks like they might have been living in slightly different environments. Heading out at the beginning of June, the Museum researchers plan on spending a month excavating the site in the dusty wilds of Wyoming. Keep up to date with what's going on in the Jurassic Mile here. Find out more about The Children's Museum of Indianapolis. Read about Naturalis Biodiversity Centre, Netherlands. Professor Paul Barrett, Merit Researcher at the Natural History Museum. Dr Susannah Maidment, Researcher at the Natural History Museum. Prof Phillip Manning, Professor of Natural History at the University of Manchester. Dr Victoria Egerton, Research Fellow at the University of Manchester.